This stout is a very dark chocolate coloured ale with a coffee – ‘Tia Maria’ aroma. Its taste has coffee, with chocolate and sweet notes, unlike traditional more bitter dry stouts. 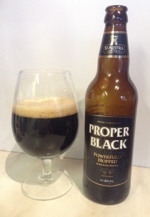 This is a black coloured ale, with a strong toasted and smokey toffee malt aroma. It has a smokey sweet taste running on to a black malt and hop bitterness, leaving a bitter finish. An excellent stout ale without the excessive bitterness of the Irish Stout style. This is a mild ale from this Suffolk Brewery. It has a dark chestnut red colour, with a light malt aroma. The taste is smokey malt with a bitter aftertaste. This ale is brewed using black and chocolate malts. This is a red dark chestnut coloured ale, with a rich sweet malt aroma. It has a strong roasted crystal sweet taste. It is a good strongly malty non – alcoholic ale. This is the alcohol free ale from this Suffolk Brewery. This is a chestnut coloured ale with a malty aromas. It has a good malty taste with a bitter background. This is a good English bitter style ale. This is a light chestnut coloured ale with malt and elderflower aromas. This is a bitter sweet pale ale with a background note of citrus. This is a session pale ale. This is a chestnut coloured ale with a rich malty and fruity lychee aroma. It has a barley wine taste and an amber coloured head. It is bitter with sweet marmalade notes and a malty follow-on. This ale is brewed with 5 different malts and 5 hop varieties. This is a black strong ale, with a deep fresh hop aroma. It has a dry strongly hopped taste, with hints of black coffee and a lasting hop bitterness.This is a strongly hopped IPA and becomes another of the growing number of Black IPA beers. Another member of the Proper Job, Big Job range of IPAs from the Cornish St Austell Ales. This is a very dark chestnut red coloured ale, with a malty aroma. An initial sweetness followed by a strong roasted coffee taste. This is a black coloured ale with a strong coffee aroma. 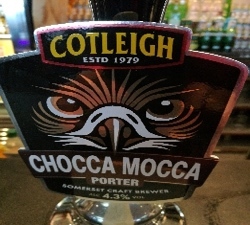 It is a sweet ale with a strong roast coffee taste and chocolate notes. Berkshire and describes its beer as “Beer for coffee lovers”. This beer from their selection needs to be described by the brewery notes “Broken Dream is deep and complex. She lurks in your imagination. She binds smoke and coffee aromas with chocolate, milk and oats to create something thick, velvety and slick”.